My in-laws used to live in the suburbs of Washington DC and Mr Pict and I would fly out to visit them there and use their home as a base for exploration. Now, of course, I live in the suburbs of Philadelphia, also on the mid-Atlantic coast. 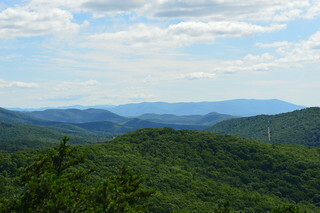 It is, therefore, actually a bit ridiculous that I have never visited Shenandoah National Park. I really don’t know why we have never gotten around to it. Always something else to see that was placed as a higher priority I suppose. 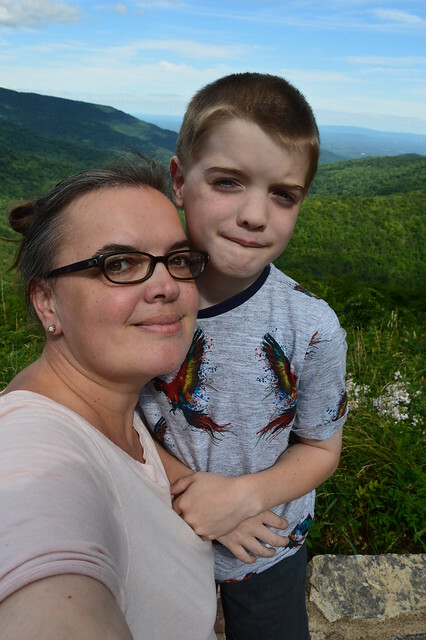 Navigating our route home through Virginia on the very last day of our road trip, I spotted an opportunity: I could at least do the Skyline Drive element of Shenandoah since it took us in the right direction. I discussed my plan in quiet code with Mr Pict as I knew I would be met with resistance from the kids. He agreed and we took the twisting turn to start ascending the mountains. The kids were on to us immediately and were not best pleased. This was the fifteenth day of our road trip and they just wanted to get home. I could understand their motivation but, at the same time, I wanted to cram one more experience into our trip. One of the things I love about America’s National Park system is that its parks result from someone just deciding that something is beautiful or unique or historic or any combination of the three and that it should consequently be preserved and protected. 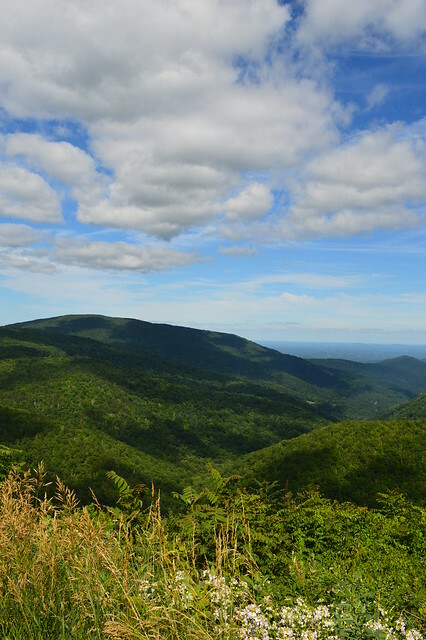 In this case, said person was President Hoover who decided that a road should be built so that more people could access and appreciate the views of the Blue Ridge Mountains. The views were indeed breathtaking. The boys, however, were not appreciating them. They were just doner than done with tourism and were 200% over road tripping. Other than when we stopped at a ranger station, the older two even refused to get out of the car on any of the stops. To be fair, the little grouches were also complaining about how twisty turny the road was and how queasy it was making them feel. I too was feeling nauseous. And the going was very slow. I admitted defeat. We exited the park at Swift Run Gap, rejoined major roads, and focused on getting home. This post then concludes all of my blogging about our 2018 road trip. Ten new states visited in just two weeks bringing me to a total of 40 US states visited. That was an awful lot of driving (4550 miles!) and I think we probably – definitely – pushed ourselves to the limits of our tolerance for driving trips. I don’t think I would undertake a trip involving such massive distances across just two weeks again – especially not with kids in tow. It was too exhausting and the ratio of fun per miles was inadequate on this particular trip. That is not to say that it was not worth it. I would just learn from it and not push ourselves quite so far next time. It was worth it because I loved seeing how different the landscapes of the Plains states were compared to those I had already visited. Visiting a whole new region of the country underscored just how vast and diverse America is. 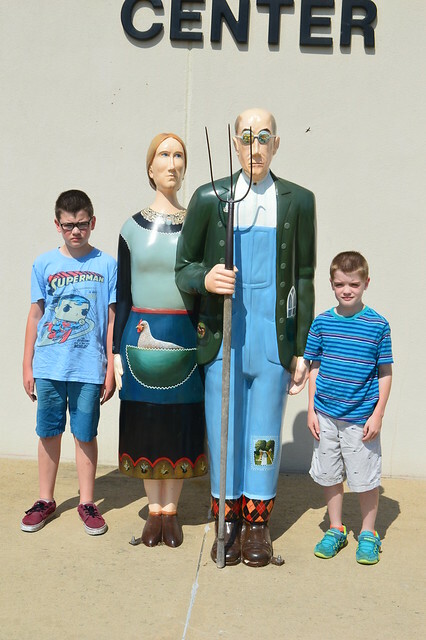 The focus of our road trip had been reaching the Dakotas – everything else just slotting into place as the route there and back – and the Dakotas did not disappoint. In particular, I could probably have happily spent two weeks just travelling around South Dakota and exploring. I was glad we spent more time there than anywhere else. The trade off for that, of course, was that we barely touched the surface of some states. I will need to go back and explore those properly at some stage. But maybe not for a while. I feel like I need a relaxing vacation now in order to recover from my vacation. The final two days of our road trip were really just about covering distance in order to reach home. Both were, therefore, slogs of days with no real time available for exploring. On the penultimate day, however, we did indulge Mr Pict’s Civil War geekery by opting to stretch our legs at Stones River National Battlefield. Having been to Shiloh in 2002, this was actually my second Tennessee Civil War battlefield. I feel like I am collecting Civil War sites by association. 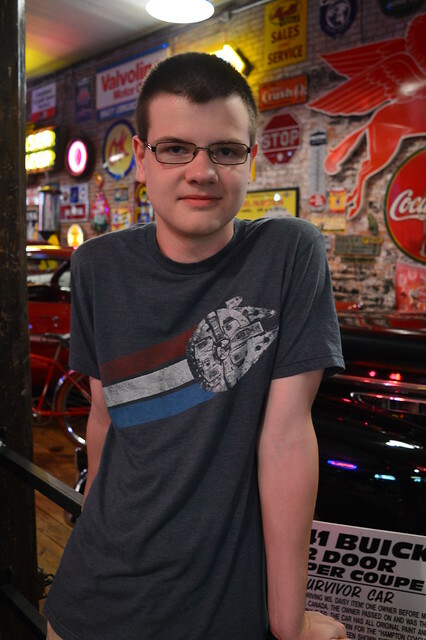 Confusingly, Mr Pict talks about this place as Murfreesboro, the name of a nearby town, which makes it even more difficult for me to retain the information. We were greeted at the Visitor Center by an incredibly chipper Park Ranger. 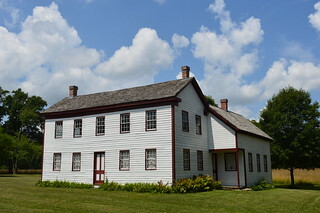 He provided a summary of the site’s history and I, therefore, learned that this was the first place that the Emancipation Proclamation was enforced. Furthermore, it was also on the route of the original Trail of Tears in 1838. However, because the road charged a toll for each Cherokee, the government baulked at the expense and a different route was taken from then onwards. Mr Pict also informed me that Stones River had the highest percentage of casualties of all the major battles of the Civil War. And that is the extent of everything I learned during my visit. Sometimes my brain is just too exhausted to absorb any information I am not keenly interested in. This was one such time. After the Visitor Center, we took a driving tour of battlefield sites. It helps that the modern day Pike and railroad are in the same positions they were in 1863 when it comes to interpreting the battlefield landscape and understanding the focus of the conflict. 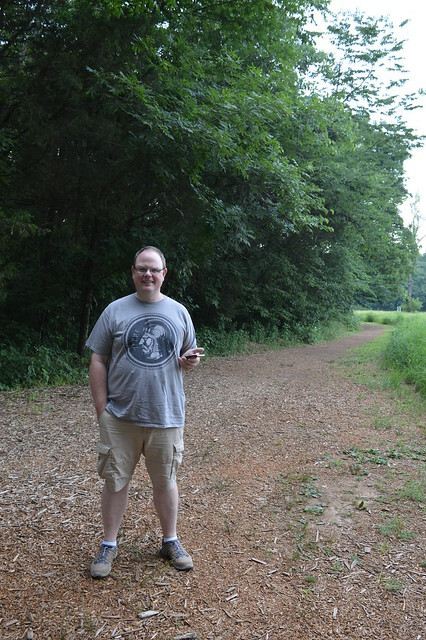 Mr Pict took a stroll through the area of rocks and woodland known as the Slaughter Pen. A series of attacks in this spot meant that the bodies started piling up and blood was everywhere. 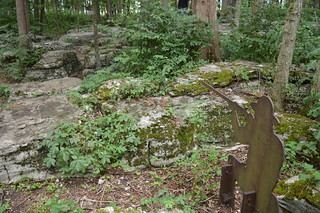 Staying on that theme, we also visited Hell’s Half Acre, which had ended up covered in Confederate dead. The battle counts as a Union victory only because they managed to repel two Confederate attacks which led to the Confederates withdrawing. And that really is the limit of my osmosis-gained knowledge. 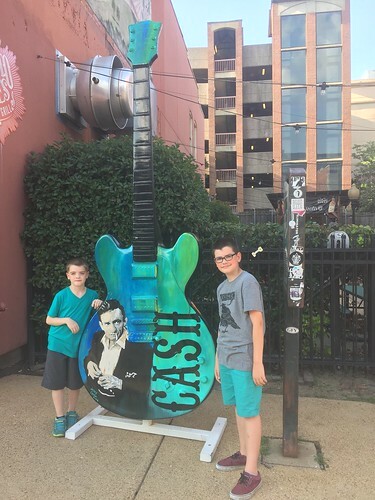 Mr Pict and I had fond memories of Memphis so wanted to expose the boys to at least a little bit of the city. They were not especially up for it but we dragged them anyway. We parked up near the Peabody Hotel and entered the lobby. Unfortunately we had literally just missed the famous procession of ducks. The ducks were not even frolicking in the fountain, having retired to their rooftop palace for the day. The kids were irked to have been dragged into the hotel without the payoff of seeing the ducks. The oldest two were virtually snarling. 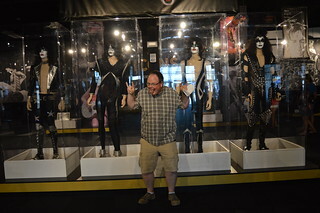 Our foray into Memphis was not going too well. We hoped we would win them over with a stroll along Beale Street. 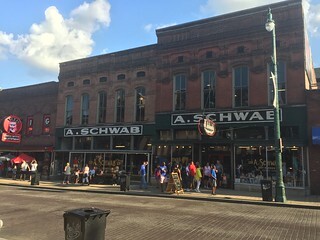 One of the Beale Street locations I remembered finding fun was Schwab’s store so we headed there for some respite from the sizzling afternoon sun. 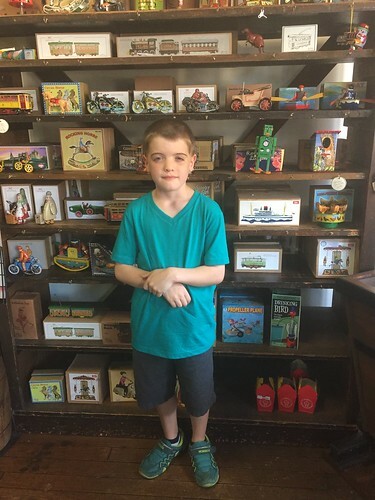 The store opened in the 1870s selling men’s clothing, evolving into a dry goods store. I remembered it being a bit like a junk store or jumble sale, with items heaped on tables, and lots of unexpected finds. It basically retained that old-fashioned feel. Visiting again, it had been transformed as items were neatly organised on tables and displays. 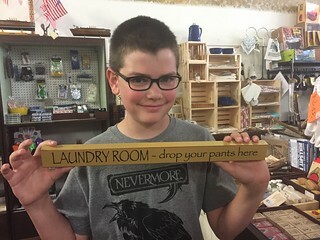 There were still quirky items among the usual fare so there was still fun to be had. 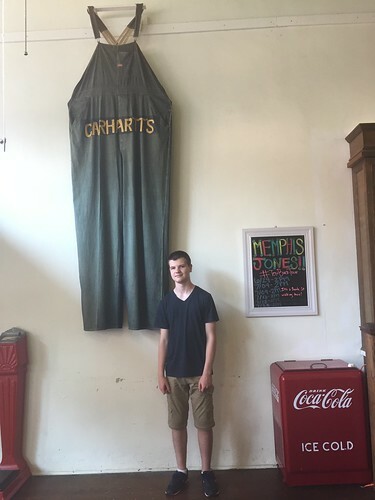 I was happy to see that a pair of the World’s Largest Overalls (what I would call dungarees) were still on display. 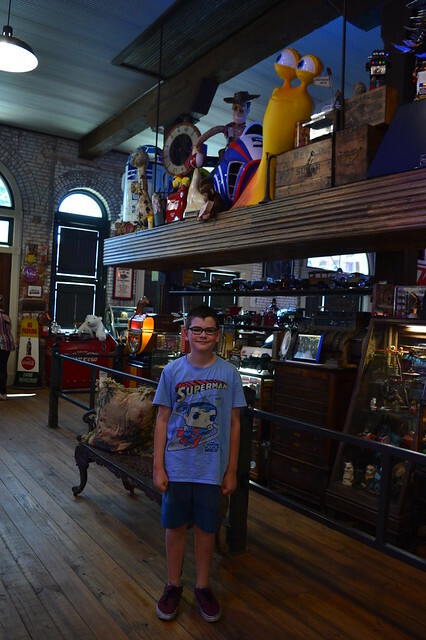 We ascended the stairs to see an area designated as a museum as it housed such items as vintage cash registers and stiff collars. 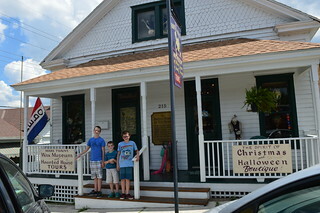 The boys, however, were much more interested in the extensive range of candy available for purchase. Schwab’s contains a soda fountain and sells delicious ice cream but the queue on such a baking hot day was ridiculous so the kids instead chose some candy as a treat. 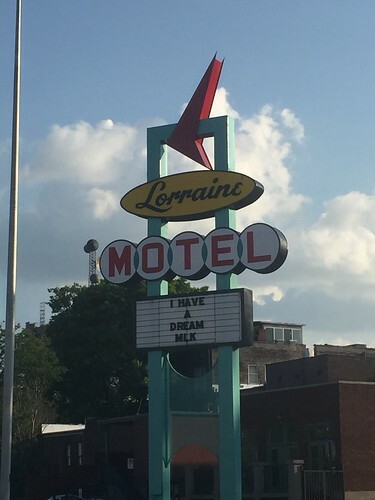 We didn’t feel we could bring the kids to Memphis without taking them to see the Lorraine Motel given its significance in American history. 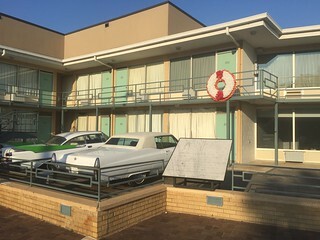 The motel was, of course, the location of Martin Luther King’s assassination 50 years ago. 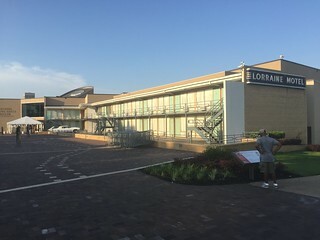 It is now the site of the National Civil Rights Museum, with the motel complex preserved within its architecture. We were unfortunately too late to go into the museum (being too late being a theme of our road trip) but it was quite powerful regardless. We spent some time outside, in silent reflection, feeling subdued. The casualty of our spontaneous decision to switch to Tennessee from Kentucky was the quality of our hotel room. The hotel was shabby and run down. I would guess it had not been updated since the 1980s. I took the stairs rather than the elevator and could barely breathe because of the reek of cigarette smoke. Our room was clean but very basic. The bathroom was reminiscent of school gym showers, there was constant noise from adjacent rooms coming through the thin walls, and the ceiling fan was not working so the room was utterly stifling. I admit I had thought of ‘The Shining’. We consoled ourselves that at least it was not as awful as the horror hotel of 2016. As I explained before, our road trips are always pretty meticulously planned because of the number of miles being covered and the amount we usually try to cram into each day. However, I always have a spreadsheet full of possibilities for each stage of the journey and that includes some off-piste places, either because the place is geographically off our route or because it is random. What we do, however, normally have pinned down is our accommodation for each night because finding affordable accommodation for six people is not always that easy. However, on the evening after our drive through Missouri, Mr Pict and I decided to be spontaneous. Both feeling that the second half of our road trip was hitting the skids in terms of ratio of driving to interesting places visited, we decided to rethink the last couple of days of our road trip. Our route home was supposed to take us through Kentucky and West Virginia but this followed almost precisely the same trek that we slogged two years before. What if, we wondered, we ditched Kentucky and West Virginia and instead drop further South and travel back via Tennessee and Virginia. 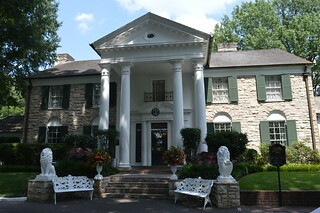 We agreed a plan and, within an hour, had booked alternative accommodation, cancelled hotel rooms, and booked tickets for Graceland for the following afternoon. As a bonus for me, our journey to Memphis on the day took us through a little corner of Arkansas. You know what that meant? I could snag myself another state! I have a mild OCD regarding odd numbers so it was irking me that I was going to be stuck for however long on a total of 39 states. Collecting Arkansas would mean I could complete the trip with a neat 40. As it happened, we were all hungry by the time we crossed the border into Arkansas. 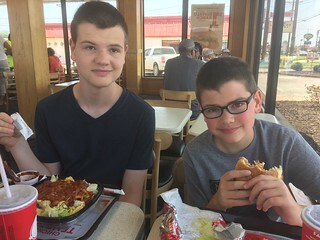 There were not many eatery options so we had to plump for fast food but it filled our bellies and meant that, along with restroom visits, the kids and I got to claim Arkansas. I will definitely come back and visit Arkansas properly some time but it felt satisfying to be ending having collected 10 new states in this one road trip and on 40 states overall. 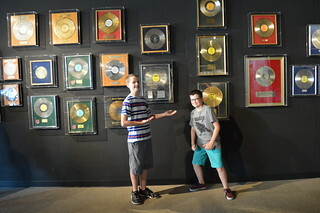 We arrived at Graceland about half an hour before our ticketed entry time but we were permitted to begin the tour early so it was all good. The whole place is much more expansive and commercialised than it was when I last visited in 2002. There was a massive concourse with eateries and stores and various artefacts that had been crammed into the house were now given room to breathe in a variety of exhibition spaces. 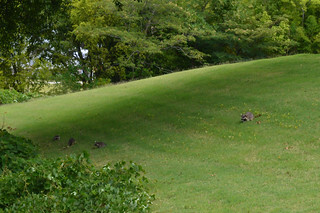 We were delighted to encounter a family of racoons on the grounds. I have not seen a live wild racoon since we emigrated 4.5 years ago so this was a big deal. After a very slick introductory video, we were guided to the lines for the shuttle buses. 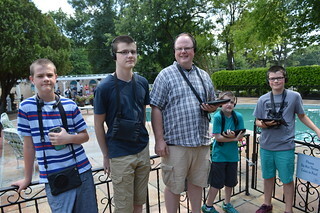 While in line, we were handed ipads and headphones. Last time I visited, we had audio guides but the whole visual element was new. 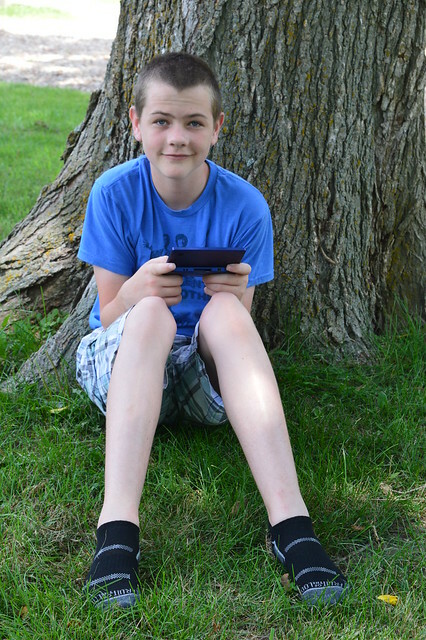 Our youngest son loved having the option to play additional videos and have virtual wanders around spaces that were otherwise inaccessible to us. 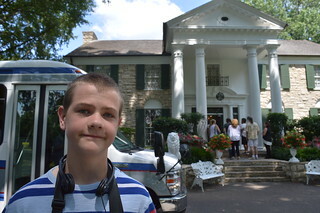 In really no time at all, it was our turn to board a minibus and get shuttled across the street to the Graceland mansion. 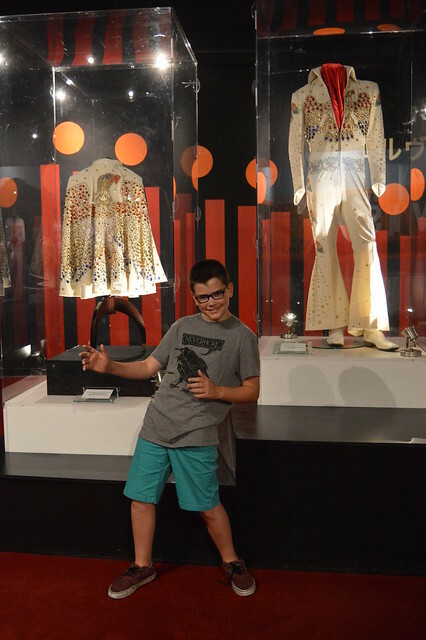 Our 11 year old is a massive Elvis fan so he was super excited to be walking through the doors to Elvis’ house and seeing the spaces in which he lived and worked. 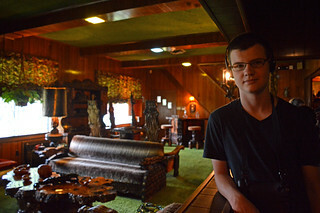 I was again surprised by how tasteful Elvis’ house is. 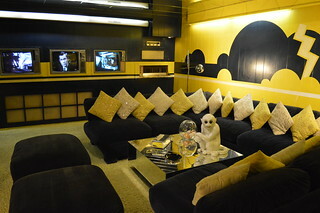 I mean, it isn’t my taste but it definitely isn’t as tacky and gaudy as some celebrity houses. The scale of the house is also fairly modest. Sure, it’s a mansion but is isn’t some colossal, echoey space. Instead, each of the rooms was pretty cosy and intimate in scale. 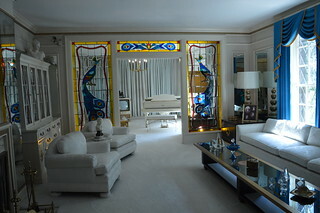 It was, therefore, actually possible to imagine Elvis relaxing in these rooms. The decor was definitely dated, as if it was preserved in aspic, but it still felt like more of a home than it did a museum. 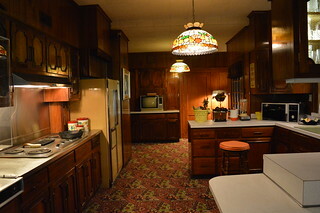 The kitchen, for instance, was on a larger scale but was otherwise not dissimilar to kitchens from my own childhood. 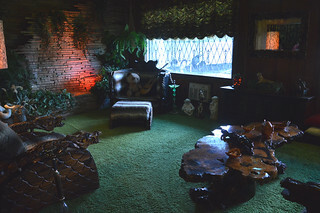 My favourite room in the house was the peacock living room. I love those jewel colours and liked how light and airy that room was. The trophy room was packed with a chronological display of family history artefacts. 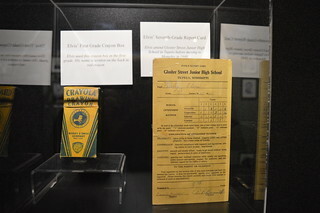 I particularly enjoyed seeing the carton of Crayola crayons that Elvis had taken to school. 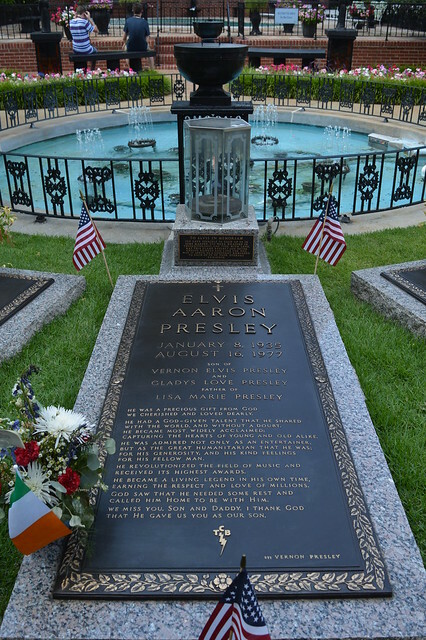 It was somewhat poignant to see all these exhibits about Elvis’ life and family and then be disgorged out to the swimming pool and the grave site. I realised that I was visiting at the same age that Elvis was when he died, which underscored how premature his death was. 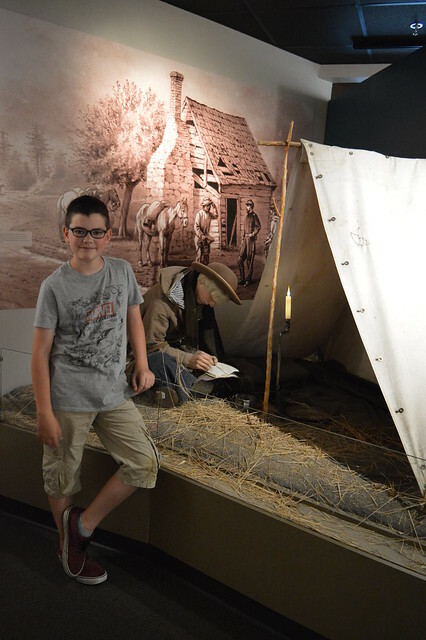 Having been shuttled back from the house, we spent some time exploring the exhibits in the various museum galleries. 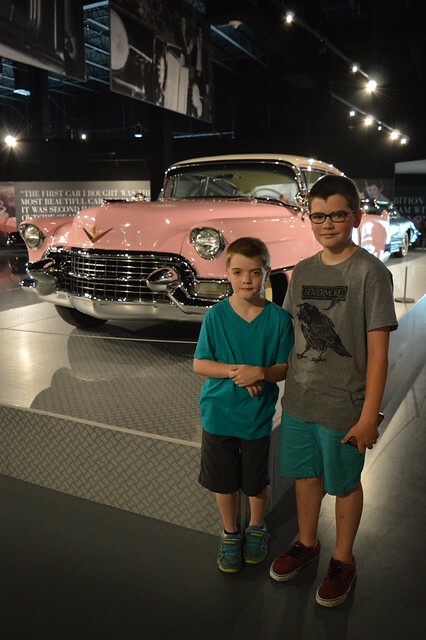 One space collected all of Elvis’ cars, from his super slick sports cars to his beach buggies and golf buggies. 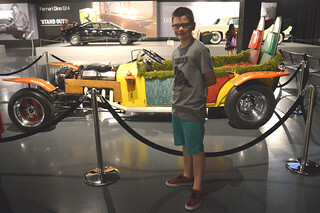 My middle sons – comic book fans – were excited to spot that one vehicle, originally made for an Elvis movie, had appeared in ‘Batman’ as a vehicle driven by the Joker. 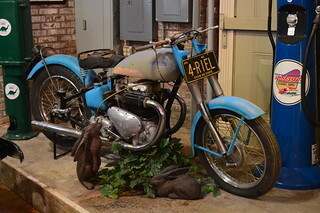 Another gallery told the story of Elvis’ time in the army and also had drawers of artefacts that could be pored over. 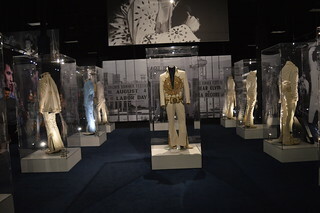 My two favourite museum rooms concerned costumes: one was a collection of various music stars’ costumes and the other was dedicated to Elvis’ costumes. 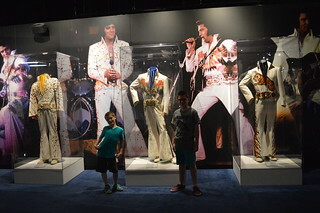 The Elvis clothes were arranged in roughly chronological order so our 11 year old enjoyed following Elvis through the decades and picking out his favourite costumes, from the gold suit, to the black leather costume from the comeback live tour, and then – best of all – all the bejewelled jumpsuits from the Vegas years. 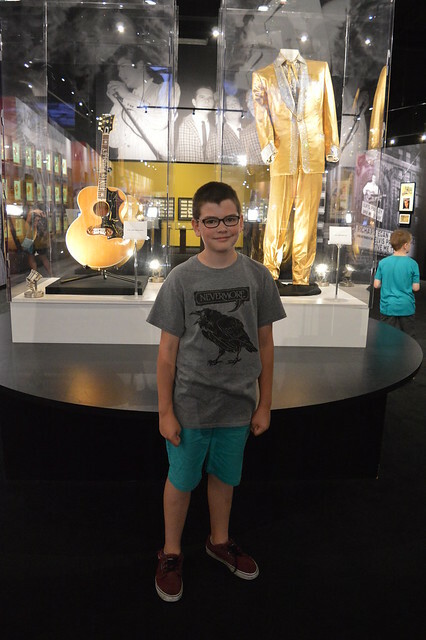 I was really impressed with how Graceland had evolved from my last visit. It had definitely become more Disney-fied but this was actually to the betterment of the experience. Spreading all the visitors out across a bigger space and deploying ticketed entry times meant we never felt swamped by people even though the place was clearly hopping. 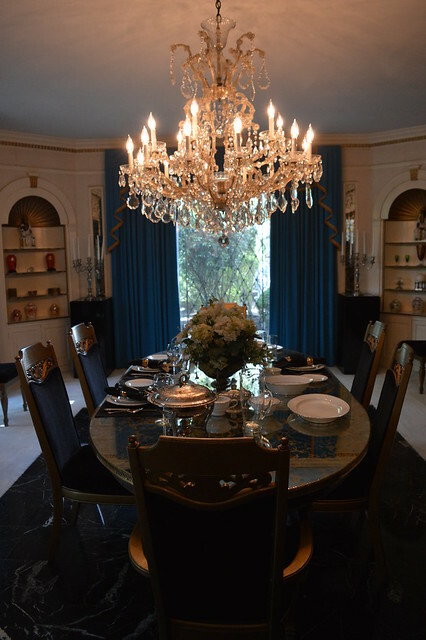 Furthermore, moving out all the costumes and gold discs and memorabilia to designated spaces meant the actual mansion could go back to showcasing the domestic spaces rather than being overstuffed and difficult to imagine living in. 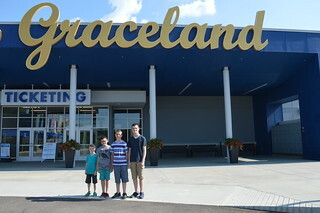 The kids all declared that Graceland was a highlight of the road trip. We parents felt vindicated in changing plans and relieved we had experienced tourism success again. Missouri was my 39th state and was supposed to be the last new state I picked up on this road trip. 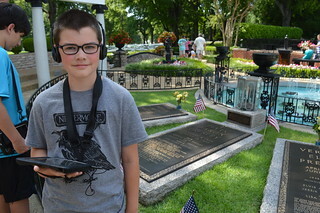 As Mark Twain is one of the most famous Missourians and our route took us through Hannibal, we decided we would stop off there and theme our day around Mark Twain. It did not quite turn out as we anticipated. 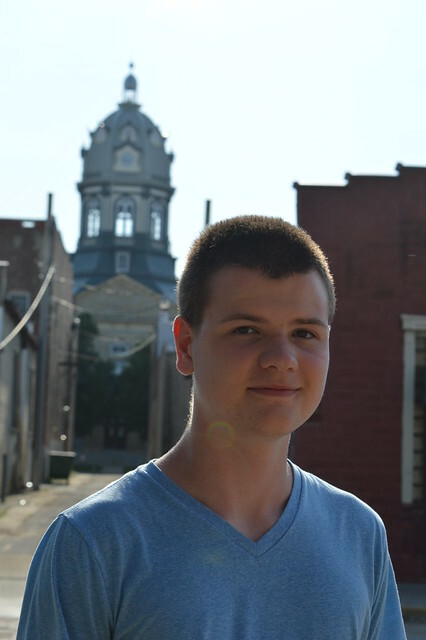 My expectations were of a picturesque town full of 19th Century architecture, scenic views of the Mississippi, and lots of tasteful commemorations of and references to Mark Twain. Well, that is not what our experience of Hannibal was. While there were some lovely old clapboard houses, they were the exception. While the streets were pleasant enough and the buildings were vintage, they tended to be those characterless brick built blocks. We parked up on a side street in front of the Haunted House on Hill Street. A lovely, friendly lady met us on the porch and encouraged us to pop in. Why not? 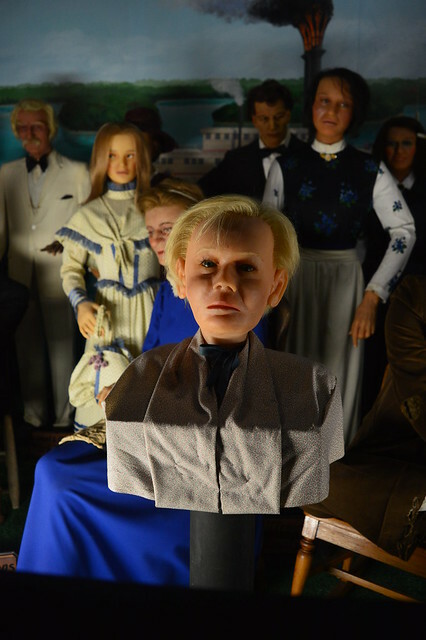 I enjoy waxwork models whether they are exceptional likenesses or tragically awful so we couldn’t lose really. 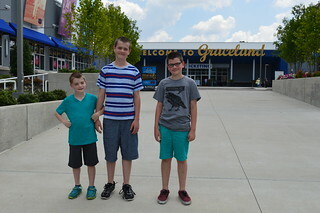 We must have been in an unusually persuadable mood because we ended up purchasing joint tickets for both the waxworks and another attraction in town. The store front was filled with jewellery and trinkets and various Halloween-esque homewares and we were led from it through what looked like a closet door. 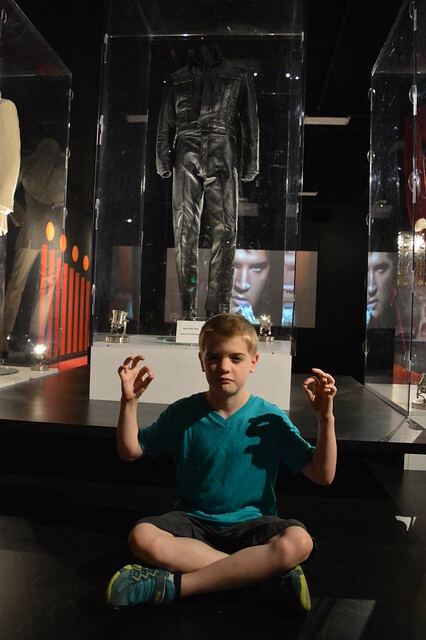 This placed us in a darkened room and in a corridor in front of a large glass window that separated us from a whole community of wax figures. 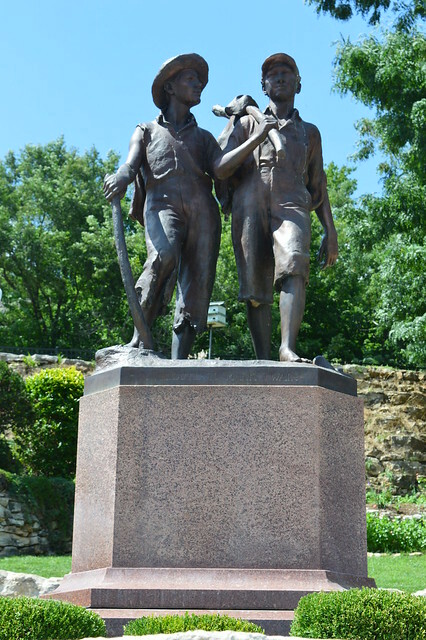 The figures represented Samuel Clemens (Mark Twain) and his family members plus people he knew who inspired characters in his texts, especially ‘Huckleberry Finn’ and ‘Tom Sawyer’. A recording was set to play that highlighted each of the figures in turn and explained their role in Mark Twain’s life and literary story. The narrative was actually very well done and was informative – especially for the five members of the Pict family who have never read a word of Twain. I am going to struggle to describe the wax figures because they were just eerily weird. I don’t know where the balance was between realism and caricature but the outcome was just awry; they were both very well done and somehow very lacking; creepy pretty much sums them up. Just plain creepy. Something that made them that bit more creepy: Tom Sawyer has actual human teeth and Mark Twain’s infant son was just a head on a stick. From there, a doorway at the end of the corridor led us into some very dark and narrow nooks and crannies, these forming a pathway past some spooky dioramas. The lighting and dayglow elements made the best of the visual effects but what worked most effectively were the floor panels that would trigger movements and sounds and the ankle-level rubbery brushes that would unexpectedly tickle our legs as we walked past. We emerged out of the darkness back into the bright light of the gift shop giggling and thoroughly entertained, albeit maybe not in the way that was intended. A stroll of a few blocks brought us to Karlocks Kars, for which we had the joint ticket. 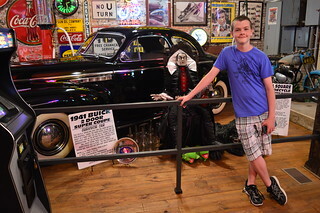 This small museum was a collection of vintage cars, driving memorabilia, gas pumps, jukeboxes, pinball machines, and advertising, plus some vintage toys and movie memorabilia thrown into the mix. It was all well curated and immaculately presented but random as heck. 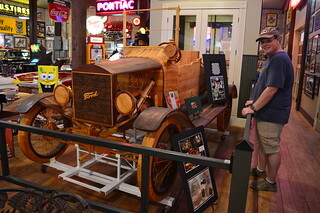 My favourite items was the Model T Ford made entirely from wood, including its engine parts. 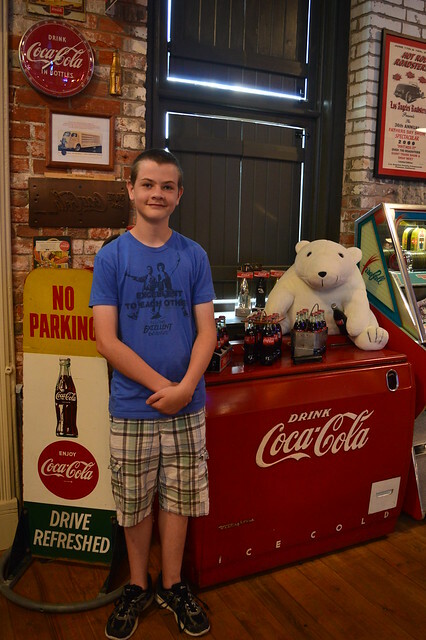 Mr Pict and the boys loved the pinball machines and vintage arcade games – which enabled Mr Pict to relive his misspent childhood. 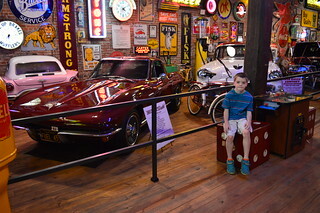 Our 11 year old loved seeing one of Steve McQueen’s motorbikes, and our 12 year old loved the Coca Cola memorabilia and the vampire seated next to his werewolf rug and Kermit slippers. I also enjoyed all the vintage advertising, whether it was the graphic design on tin or the bold neon. I had a vague plan that we could visit the cave that inspired the episode in Twain’s novel where Tom Sawyer and Becky Thatcher encounter Injun Joe. The cave had also once been used for experiments regarding the preservation of corpses. However, we did not really have enough time to invest in a tour of the cave so that idea was nixed. 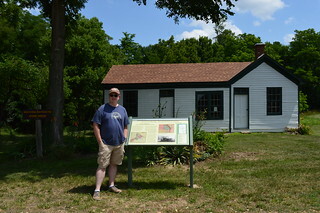 My other vague plan was to visit Mark Twain’s boyhood home but that was met with groans and sighs from the other Picts. As they had not read any Twain, I could appreciate that to them it would just be another old house to poke around in. I think the biggest problem, however, was that everyone was broiling hot (it was 100 degrees out!) and started to get hangry. 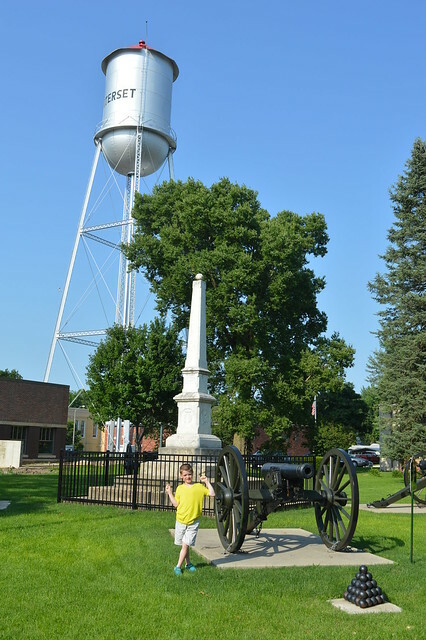 Before we left Hannibal, however, I did manage to convince them to let me visit the statue of Huck and Tom that stand on a plinth near Main Street. The statue was erected in the 1920s and I read somewhere that it was the first public statue to fictional characters in America. 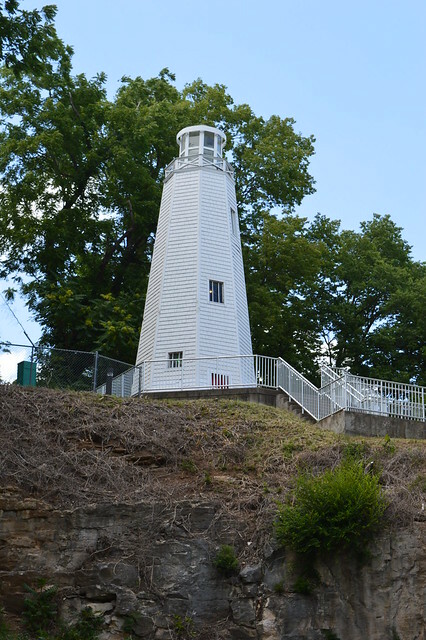 The statue stands in a little green space at the bottom of Cardiff Hill and atop that hill is a lighthouse constructed as a memorial to Twain. 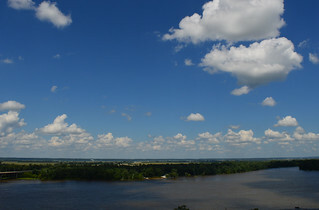 The connection between lighthouses and Twain is lost on me, I must admit, but ascending the hill afforded us some great views over the Mississippi. Our day ended with a drive to St Louis. I had hoped to see at least the Arch but I had not thought in advance about the fact we would be reaching there on the evening of Independence Day. Yeah, it wasn’t going to happen. We could not get anywhere near the Arch because streets were being cordoned off in advance of the 4th of July celebrations and fireworks. Indeed, there was not even any affordable parking left in the vicinity. We, therefore, took in the views of the Arch as we crossed the Mississippi into Illinois and our beds for the night. Our 4th of July was spent meandering our way from Iowa through Missouri and into Illinois. Who needs parades and festivals and fireworks when you can be in three states in one 24 hours period, right? I will admit: this driving thing was getting old. As I was using our trusty mapbook to navigate, I spotted a couple of interesting little detours I might otherwise have overlooked. 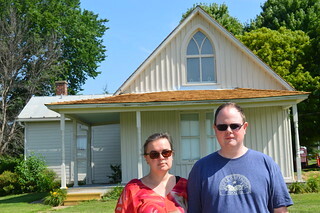 First of these was the American Gothic House in Eldon, Iowa. As someone who loves art history, I had to go. Grant Wood painted American Gothic in 1930 having been inspired by the house. The figures he placed in front of it were modelled on his sister and his dentist, the pair not actually meeting each other until years later. It’s an iconic and much parodied painting. Unfortunately for us, the house and museum was closed to visitors because of it being Independence Day. 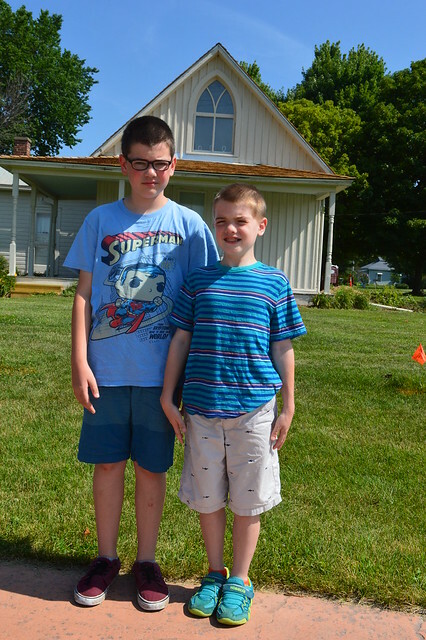 However, we could still view the exterior of the house so we had a bit of a wander and could not resist doing our own posing in front of the building. 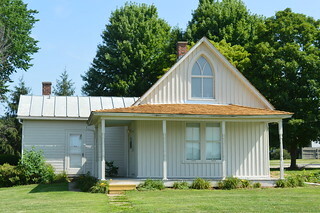 The visit to the American Gothic House was driven by my interests so it seemed only fair that I confess to Mr Pict, who was driving at the time, that I had spotted a Civil War battle on the map. We, therefore, took a bit of a diversion to the scene of the Battle of Athens. Confusingly, Athens is pronounced Aythens. 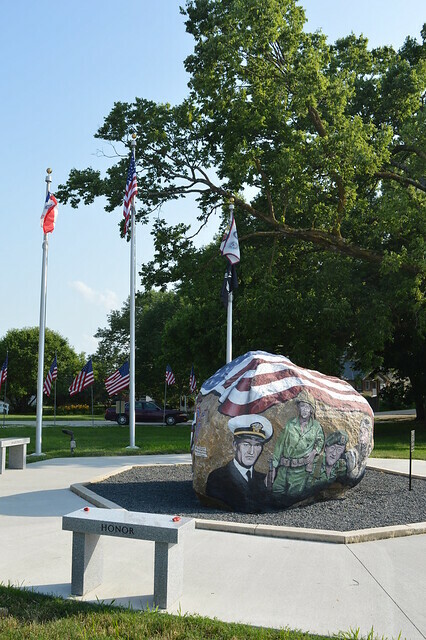 It sits right on the border of Iowa and Missouri which meant we bobbed in and out of both states as we weaved our way along rural roads to reach the site. The skirmish that took place there in 1861 is notable for being the most northerly Civil War battle fought west of the Mississippi. I had absolutely never heard of it but Mr Pict was chuffed. At the time, the town was a fairly busy port on the river. When the railroad made the river obsolete and the town became defunct, it appeared that most of the buildings had gone with the population. 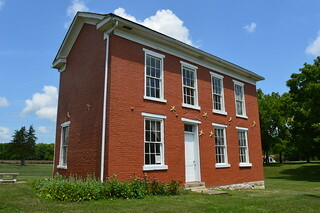 There were, therefore, just a few buildings dotted around in the landscape, including a hotel and a house that had belonged to a Kentucky slave owner. 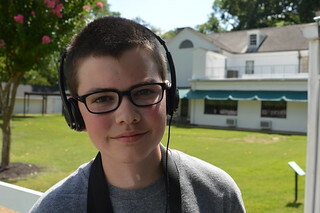 The boys decided to stay in the shade of the trees so I wandered around while keeping them in my sights which allowed Mr Pict to wander down to the riverside to see the Benning House, which was pockmarked with canon ball wallops. There is always at least one day in any of our road trips that turns out to be an absolute write off. We had considered our day of travelling from South Dakota to Nebraska to be that day. We were to be proven wrong. The day got off to a bad start when we slept in far longer than we intended. It is essential to get up and on the move early when trying to cover as many miles per day as we needed to so being a tad tardy can throw the whole day off kilter. The hotel breakfast was shoddy so we decided to skip it and eat on the road instead, treat ourselves to a little slice of Nebraskan or Iowan food. That was our second error. Our plotted route took us through towns with populations in the double digits that offered nowhere to even grab a coffee let alone a morning repast. The kids had snacks and fruit to keep them going for a while but we parents knew that at some point they would turn into grizzly bears if not fed and watered. So the drive was proving stressful enough before, somewhere in the middle of rural Iowa, the car hit the raised tracks on a railroad crossing a little too fast and did a Dukes of Hazzard style leap onto the road on the other side of the tracks. We immediately pulled off the road to have a look at the undercarriage of the car. We could see dripping. Worried it was oil or fuel, we pulled the car forward a few feet. It was a relief and yet not relief enough to find it was water. While I was 95% sure it was simply condensation from the air conditioning system, that part of me with the 5% nagging doubt did not want to drive off onto the remote byways of Iowa with a dicky phone signal. I spotted a garage not too far from where we were standing, feeling like total twerps, and decided we would head there and ask if someone wouldn’t mind giving our car a once over. The family who owned the garage were welcoming and kind. We were given refuge in their air conditioned office and met their cats while the mechanic raised our car and checked things over. Thankfully the dripping was indeed just the air conditioning and nothing to be concerned about. They told us they got a lot of business thanks to those railroad tracks which made us feel only slightly less foolish. That little escapade had set our schedule way back. Our day was not going at all well. We had no big plans for the day but even those plans now had to be entirely shelved. It was proving to be one of those days we wished we could completely do-over. 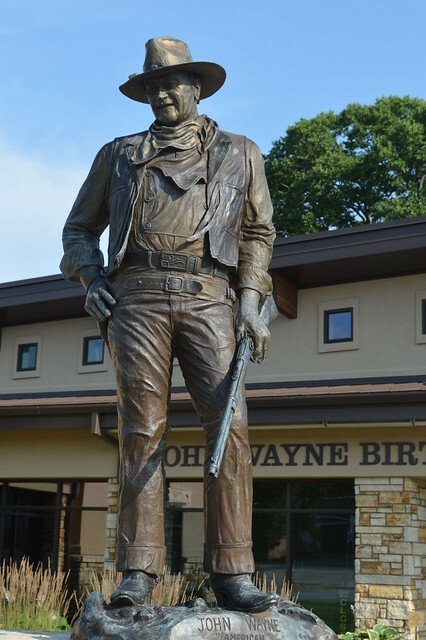 Winterset is famous for being the birthplace of John Wayne. We arrived too late to visit the John Wayne museum and birthplace but honestly we were pretty lukewarm about the prospect anyway. My Granddad was a big fan of Westerns which makes me very familiar with John Wayne as an actor but actually I was never a fan of his either as an actor nor as a person. I certainly would have found it much more interesting to visit sites associated with another of Winterset’s famous citizens: George L Stout, art conservator and one of the “Monuments Men”. As it happened, Winterset also has an association with another famous man. A few months previously, our 9 year old had an assignment whereby he had to research a famous African American and then present his research as if he was that individual, a project called a “Talking Art Gallery”. 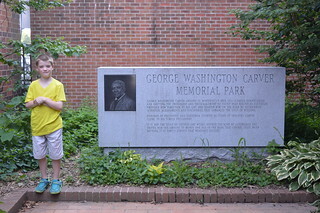 Our son had chosen to research George Washington Carver so he had done his research, written up a speech, and dressed up in a gardener’s apron with a jar of peanut butter and a sweet potato as his props. Because of his research, we knew that one of the places Carver had lived, while trying to secure a tertiary education, was none other than Winterset. Indeed, tenuous though the connection is, the town had dedicated a garden in Carver’s memory. Finding that garden proved to be tricky so we did the sensible thing and popped into the town library. Librarians are almost always reliably friendly and helpful and the lady we spoke to was no exception. She directed us to an alleyway beside the fire station and it was this little sliver of land that contained the memorial park. 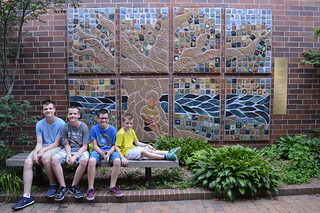 It was actually a lovely, calm, shady little spot and I loved that local school children had contributed tiles for a wall that commemorated Carver’s contribution to American agricultural and botanical knowledge. 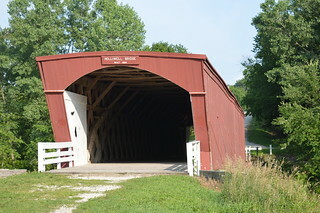 Winterset is within Madison County and Madison County is famous for its covered bridges. I have neither read ‘The Bridges of Madison County’ or seen the film adaptation. I know that I could, however, develop a fascination with covered bridges in the same way that I have to stifle a potential addiction to lighthouses. 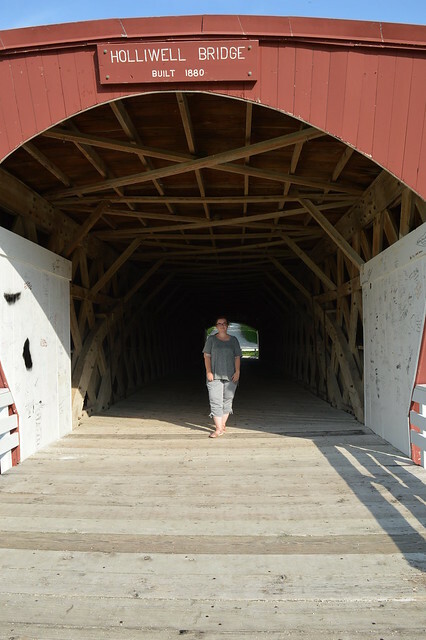 Combined with a compulsion to do something actually properly Iowan, therefore, I concocted a plan to visit the area’s covered bridges. The first one we reached was Holliwell Bridge. It was built in 1880 and, at 122 feet, is the longest of the bridges. 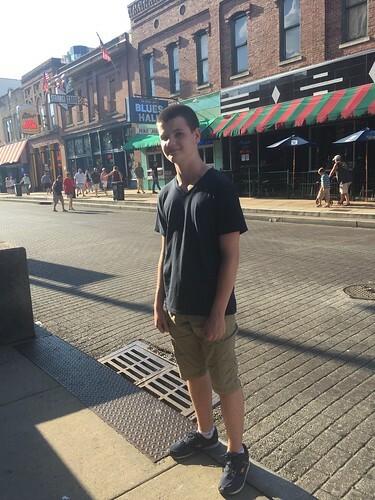 I knew my plan was not going to pan out when only my 12 year old opted to get out of the car with me – and he just wanted to stretch his legs. When I suggested visiting another of the bridges, I was laser-stared by all five of the other Picts. So instead we ploughed on and reached our hotel in Indianola. The hotel was brand spanking new and was clean, light, airy and our room very spacious. 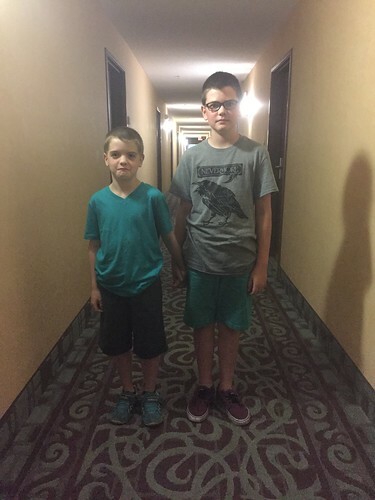 The boys loved it best because they got ice water and limitless free cookies at reception. Our whole day in Iowa, therefore, was a bit of a catastrophe. I felt like I had had a day of not remotely experiencing Nebraska followed by a day of not particularly experiencing Iowa. It felt very much like our road trip was going off the rails.